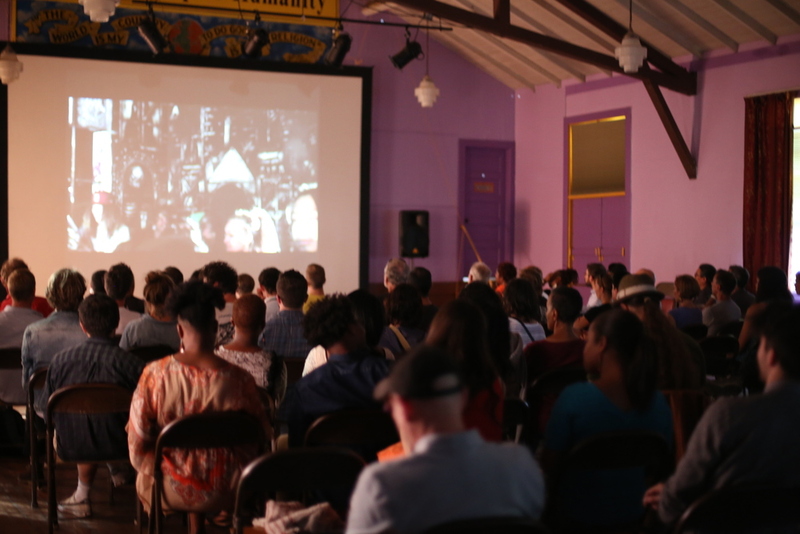 The Oakland Underground Film Festival is a showcase for independent and Do-It-Yourself film, video, and projection-art based in Oakland, California. With your support and creative contribution, the Oakland Underground Film Festival has been proud to serve up an annual film event since 2009. We are now writing to fill you in on some goings on here at OAKUFF and to tell you about a new stage in our community event. This year there will not be an OAKUFF annual film festival event as you've come to know it—we're not taking submissions this time around. Our festival team is using this year to concentrate on individual film projects and reassess our vision as an organization. We're moving underground for the season to return to the surface rested and recharged with new ideas and growth. In the spirit of looking back at where we've been and where we're headed, we're remembering some of the groundbreaking events we've had over the last six years. We premiered explosive and original films like Black Dynamite, Bones Brigade, and The Punk Singer. We presented illuminating and challenging works of non-fiction like Citizen Koch, Purgatorio, We Are Legion, Out In The Night, and 20,000 Days On Earth. We are especially proud of being a showcase for the works of local filmmakers and other outstanding Bay Area artists and artisans, like local favorites East Side Sushi, Lost Landscapes, and a bounty of short films from everyone from Frazer Bradshaw to suki o'kane to YAKfilms. We have had so many exciting venues over the years, sometimes creating a theatrical experience from scratch in unusual places such as our outdoor screenings at Linden Street Brewery, the massive art mecca known as NIMBY, our favorite radical beer garden the Humanist Hall and the original world-class grindhouse and cinema palace-- The Grand Lake Theater. We are lucky enough to have been fueled by the tireless volunteer efforts of Bay Area film world luminaries Keith Arnold, Krystal Contreras, Valentina Forte, Kendra Jacobson, Jay Johnson, Mariana Lopez, Misha Maclaird, Kelda McKinney, Natalie Mulford, Shawn Taylor, Colette Washington, Alexis Whitham, and many more we are so thankful to. Our mission and inspiration has always been unequivocal; the keen, dynamic and beautiful culture and character of the city and people of Oakland. We have been supported by The City of Oakland, Oaklandish, Linden Street Brewery, the East Bay Express, Drakes Brewery, Lagunitas Brewery, Red Boy Pizza, the International Brotherhood of Electrical Workers, KQED, and many more. On behalf of the entire OAKUFF team, we want to say thank you to Oakland. Thank you for inspiring us, making us laugh, making us feel connected, and part of something radical and beautiful. Please stay tuned and stay connected as we are looking out for new adventures on the horizon. We'll be in touch with our future plans.